Sony has had many successes, but not everything hits it big. Here are some products that didn't quite make it. 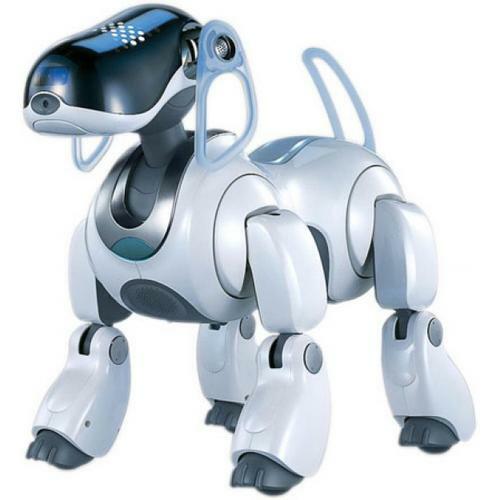 Sony's cute Aibo robot dogs, created by its Digital Creatures Laboratory and introduced in 1999, could move in a somewhat stilted fashion as far as their batteries would allow. They could express happiness, sadness, anger, surprise, fear, and dislike -- and deep-pocketed consumers snapped them up despite a sadness-, anger-, surprise-, fear-, and dislike-inducing $2500 price tag. Aibo pooches continue to be loved by their owners today, but the price barrier prevented these robopets from going mainstream and conquering the world. Sony ended the project following a recent corporate restructuring. Sony created the portable audio market in 1979 when it launched the Walkman brand. Then Sony beat Apple to market in digital music by two years -- but its first products bombed. The company's biggest misstep was its reliance on ATRAC, a proprietary file format used with Sony's MiniDisc. After 2000, digital music was all about file-sharing, and it was all MP3. Couple that mismatch with confusion within Sony -- its VAIO PC division brought out products (including the MusicClip) that competed with Walkman digital players -- and Sony set itself up for a stumble. In 2001, many companies were betting on Internet appliances -- dedicated terminals for accessing the Internet and browsing the Web. Sony's eVilla was just such a product. With a built-in 15-inch CRT monitor and a 56-kbps dial-up modem, it was designed to provide access to e-mail and to the Web. But it launched just as many competitors were giving up on the market and as many consumers were deciding to buy new PCs for Windows XP. Less than three months after the product went on sale, Sony pulled the eVilla. In 2003, battered by fierce competition, Sony sought to reinvigorate its brand with Qualia -- a line of expensive products that emphasized Sony's engineering prowess. Among the featured products were the tiny Qualia 016 digital camera ($3220), the Qualia 004 high-definition projector ($20,000), a Super Audio CD player, and a Trinitron monitor. To buy one of these items, you had to make an appointment at a Qualia showrooms or have a "Qualia concierge" visit you. But the concierge mostly stood around waiting for calls that never came, and Sony quietly killed the line in 2005. Not every product that fails does so because consumers aren't interested in it. Consider Sony's XEL-1, the world's first OLED TV. When it arrived in late 2007, it wowed everyone. The OLED screen produced images with deeper, brighter colors than LCD panels could generate, and it allowed Sony to make the 11-inch TV superthin. Most people who saw it wanted one -- until they noticed the $2000 price tag. To date, no manufacturer has succeeded in delivering larger OLED TVs. Sony pulled its version off the market earlier this year.